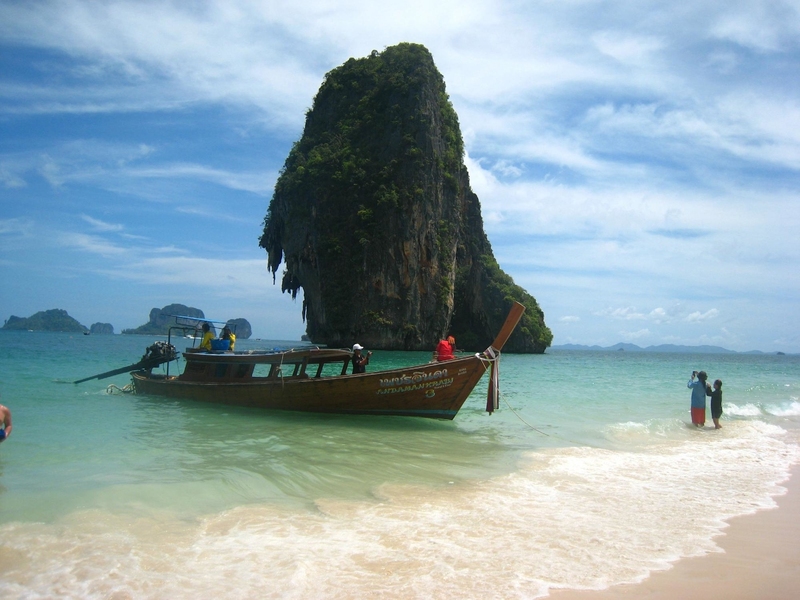 Phra Nang Beach - one of the two best beaches of Krabi and one of the most beautiful areas of southern Thailand. The seaside obliged monumental cliffs hanging over the beach. Huge rocks are not the only attraction of the beach, Phra Nang. The beach is good in itself. Fine white sand, emerald waters, lush tropical vegetation - all this pleases the eye, as well as views of the nearby islands, open to the beach. 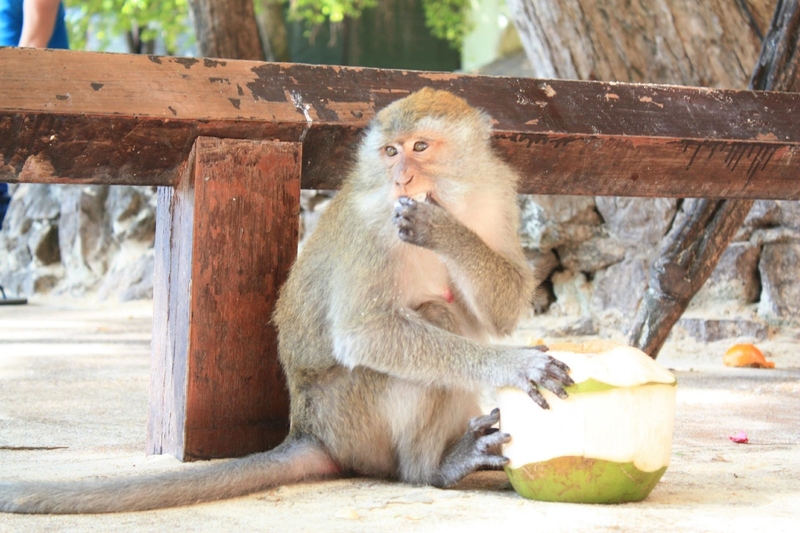 Besides, in the rocks surrounding the beach Phra Nang are several places to pay special attention to them. Firstly, in the rocks, located in the east of the beach is a cave Phra Nang Cave (Princess Cave), located inside the remarkable sanctuary of her unknown prehistoric religion. Second, a little further away the cave above the sea hangs a small 8-meter-high rock, the perfect place for diving. If you are not afraid of such a height, you will definitely enjoy the diving in this place. Well, and, finally, the need to add a few words about the rock Thaiwand Wall. 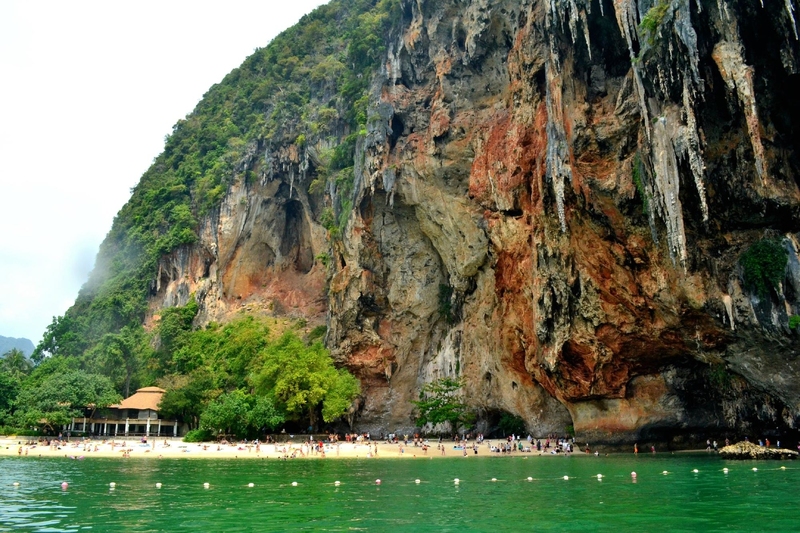 It is not only the main attraction Phra Nang beach, but also one of the best places for rock climbing in Thailand. One look at the rock enough to understand that the rise of 150-meter vertical wall - work of professionals. However, for beginners there is also plenty to do. And if you feel the strength to try yourself as a climber, to Raleigh, there are several climbing schools, who are willing to teach you this difficult craft.